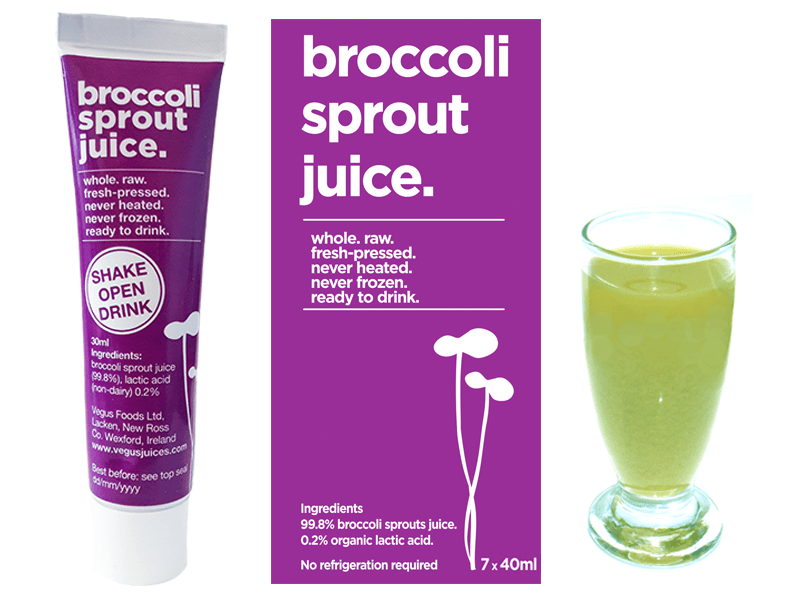 Independent laboratories tested Vegus Foods’ Broccoli Sprout Juice to contain at least 25 micromoles of isothiocyanates including sulforaphane per 10 ml, which means one 40ml tube contains a huge 100 micromoles isothiocyanates including sulforaphane. . This is a great question and you can read here a detailed answer. There have been more than 1,700 peer reviewed studies on sulforaphane (here are just a few of these reports). To find out more about this amazing phytonutrient, please go to our section on sulforaphane or do a web search for sulforaphane. Alternatively you can watch this amazingly informative and well researched video created and published by Dr Rhonda Patrick.